"[God] has made virtue a lovely form, to excite our pursuit of it." ~ Francis Hutcheson, Essay on the Nature and Conduct of the Passions, 1728. 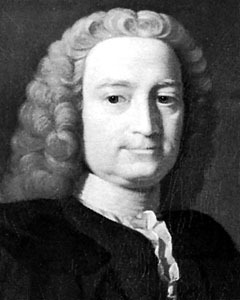 A founding father of the Scottish Enlightenment, Hutcheson was actually born in Drumalig, Ireland - his Presbyterian family had fled Scotland during the Covenanters conflict. Hutcheson returned to Scotland as a young teenager to enroll in the University of Glasgow. He spent six years pursuing a theology degree there, and took an additional four years to be licensed as a preacher in the Presbyterian church. A ministry career in Scotland, however, turned out to be unpromising, so he went back to Dublin to open a private academy. Hutcheson taught in Dublin for ten years and anonymously published his four most famous works there. In 1729, he was selected to the Chair of Moral Philosophy at the University of Glasgow. Appreciative of the time the professorship offered for the for pursuit of his favourite studies, he wrote, "I was, therefore, moved by no means frivolous pleasure when I had heard that my alma mater had delivered me, its one time alumnus, into freedom". 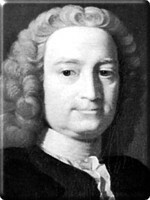 He was the first professor at Glasgow to lecture in English rather than in Latin, and taught until his death in 1746. Hutcheson's writings, particularly the essays and letters that he published while in Dublin, were incredibly influential to the Scottish philosophers that followed him, including Hume and Adam Smith. His most important contribution was the sphere of ethics, where his views on human nature stood in stark opposition to those of Thomas Hobbes. Man, he claimed, operated with a variety of internal senses, along with his five external ones (sight, sound, taste, touch and smell). Sense is defined within Hutcheson's philosophy as "any determination of our minds to receive ideas independently on our will, and to have perceptions of pleasure and pain" 1. He made no attempt to examine all the variable senses with which man was perhaps endowed, but made specific mention of the following: 1). consciousness, our perception of our self and our mind; 2). the sense of beauty, through which universal truth and moral principles are perceived; 3). a public sense, which causes us to be pleased with the happiness of others and uneasy with their pain; 4). a sense of honour, or gratitude of others, which is the necessary occasion of pleasure; 5). a sense of the ridiculous; and, most importantly, 6). the moral sense. Hutcheson's other distinctive ethical doctrine is his "benevolent theory" of morals. As opposed to Thomas Hobbes, who maintained that every action was rooted in self-love, Hutcheson argued that benevolence is instead the sole and direct source of our virtuous actions. Moreover, he claims that it is the only source of actions worthy of approval. His treatment of moral action and approbation, and separation of reason and emotion within these processes, is reflected in moral understandings of Hume and Smith. Thus his system contributed in a large degree to the development some of the most important modern schools of ethical thought.